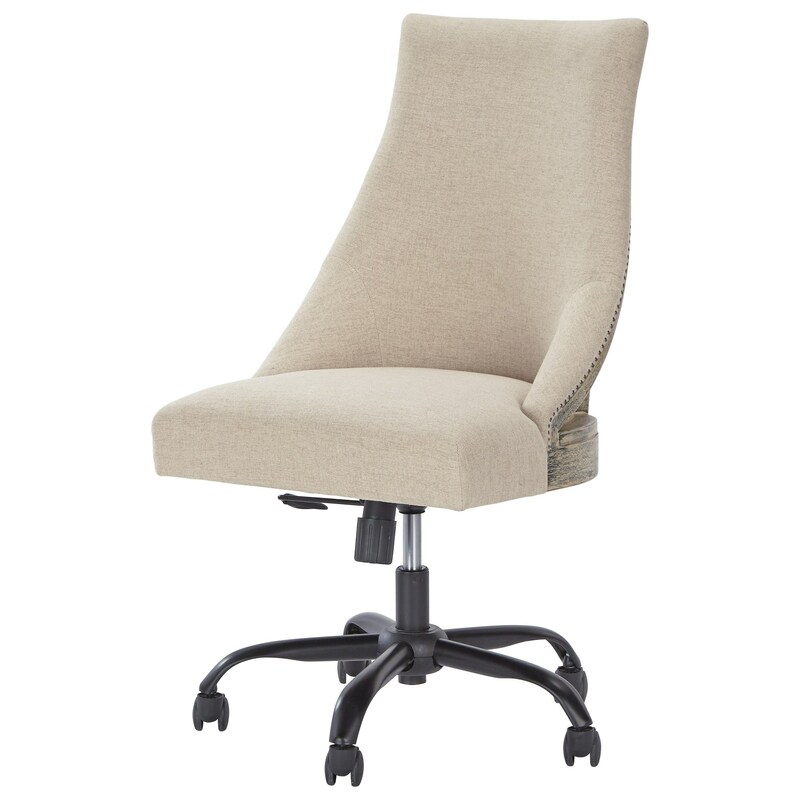 Incorporate a deconstructed look in your home office with this swivel desk chair. It features a cream linen upholstery fabric in on the front, with a highly distressed wood frame with small nailheads and burlap-like material on the back. 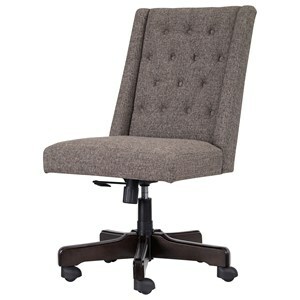 The office chair offers manual tilt, height adjustment, and a 360 degree swivel caster base. 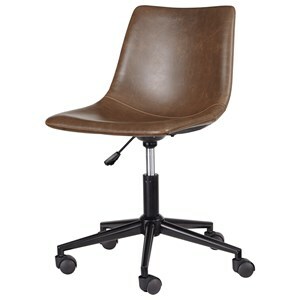 Adjustable seat height (min) 18.88"
Adjustable seat height (max) 21.25"
The Office Chair Program Home Office Swivel Desk Chair in Deconstructed Style by Signature Design by Ashley at Value City Furniture in the New Jersey, NJ, Staten Island, Hoboken area. Product availability may vary. Contact us for the most current availability on this product. The Office Chair Program collection is a great option if you are looking for furniture in the New Jersey, NJ, Staten Island, Hoboken area. 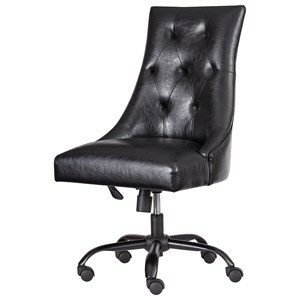 Browse other items in the Office Chair Program collection from Value City Furniture in the New Jersey, NJ, Staten Island, Hoboken area.